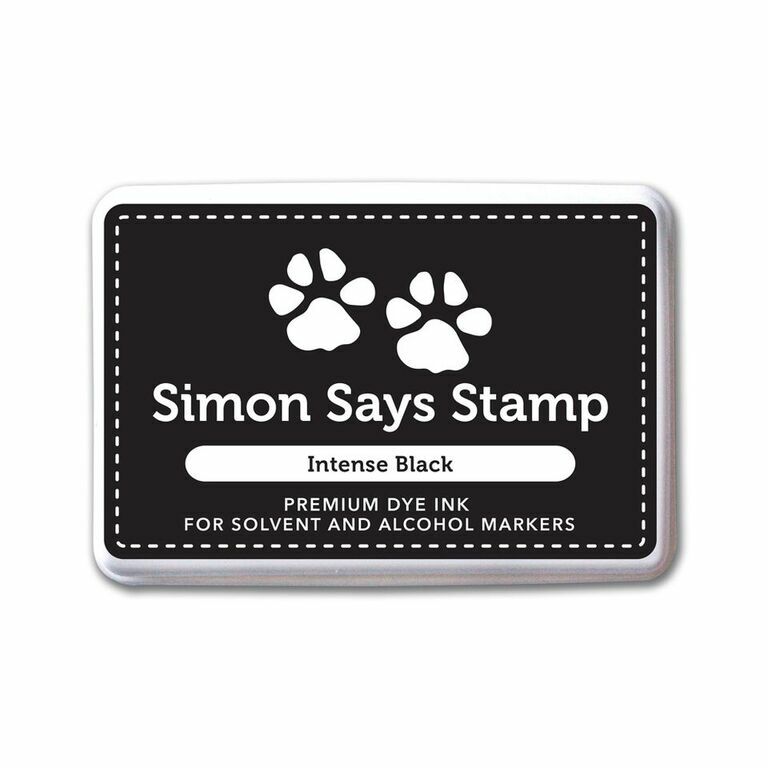 Simon Says Stamp Let’s Go Wild! 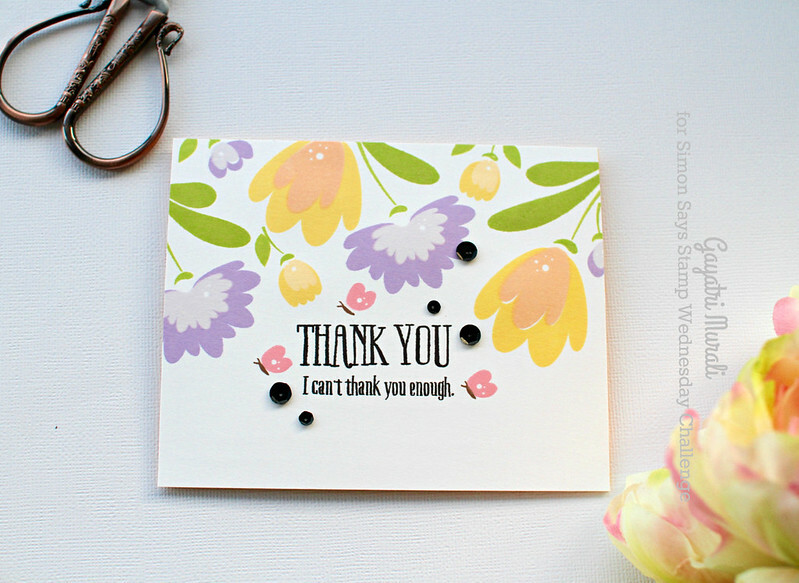 Thank you for joining us for the Fabulous Florals Challenge and we hope you will all join us again this week too. You could use a wild animal image on your creation, or you could go wild with wildflowers or with colors, ! Just Go Wild and have fun, we will be looking forward to seeing your Wild Side! I went wild with flowers for the challenge and made two cards. It has become a habit of making at least two cards when I open a new stamp set or die. It is easier to make more cards when making one than planning to make another at a later time. Here is my first card. Wplus9 designs are one of my favourite in the industry. Some are hand drawn by Dawn and are the designs are unique. 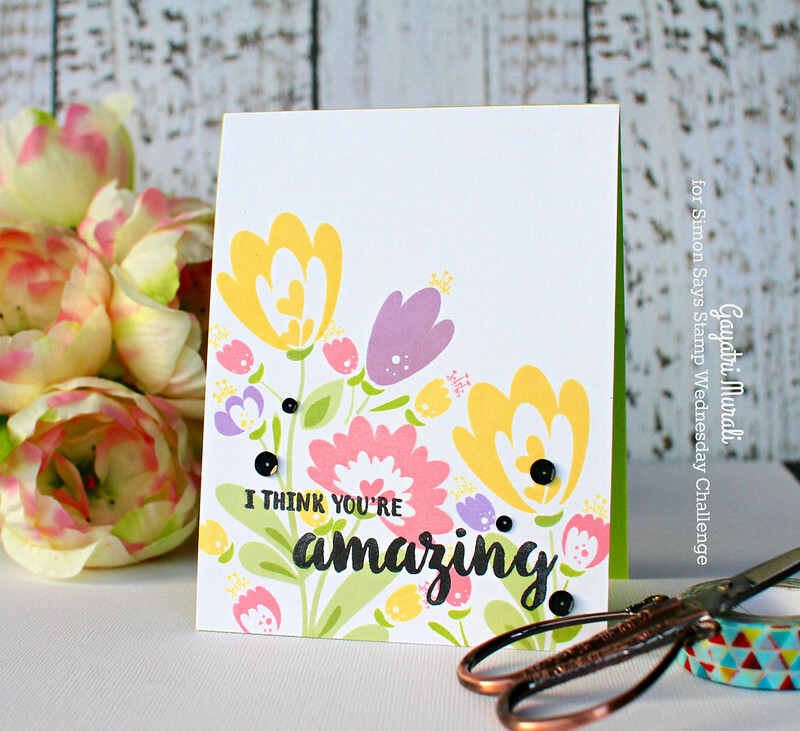 This new set called Summer Blooms stamp set has been sitting on my desk for almost a few weeks now. LOVE the stylised flowers and leaves building design and I went to town stamping them. I have used Altenew inks of Mango Smoothie, Lavender Fields, Cotton Candy, Forest Glades and Frayed Leaf inks to stamp my images. And I did use my mini MISTI to get a good impression as I have cubes of these inks. I don’t get good results with cubes. So double stamping with MISTI helps. The sentiment is from That Is All stamp set. I simply stamped the sentiment on top of the stamped images using Simon Says Stamp Intense Black Ink. Again double stamped to get even coverage. Since the sentiment font is big and bold, it popped out against the colourful background. I adhered the panel on to Simon Says Stamp Green Apple card base. Embellished with Pretty Pink Posh 4mm and 6mm sequins. 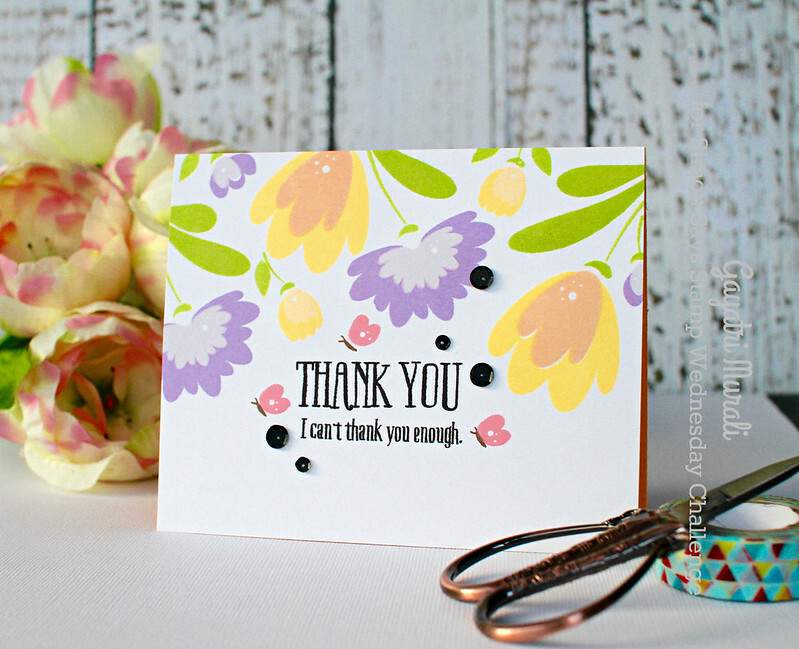 My second card also uses Altenew inks for stamping the florals and leaves. I changed the orientation of the card and the stamped image on the panel. It always works when you have portrait orientation to stamped the images from bottom of the card front leaving white space on the top. And when you have landscape orientation to have the stamped images on the top and white space on the bottom. I prefer it this way. For this card, the sentiment is from Summer Blooms stamp set which I have stamped using Simon Says Stamp Intense Black ink. I adhered the panel on to a pink card base and embellished with 4mm and 6mm Pretty Pink Posh Onyx sequins. I have a lot of coloured cardstocks and I have not been using them much. I always go for white cardstock when I make my cards. I decided I will make my card front using white card stock panel and make coloured card bases. I will pick the colour of my card base from the colour on the card front. This way I am using up my coloured cardstocks. Once I use up all my coloured cardstocks, then I will restart making card bases using white cardstock. Do I make sense? 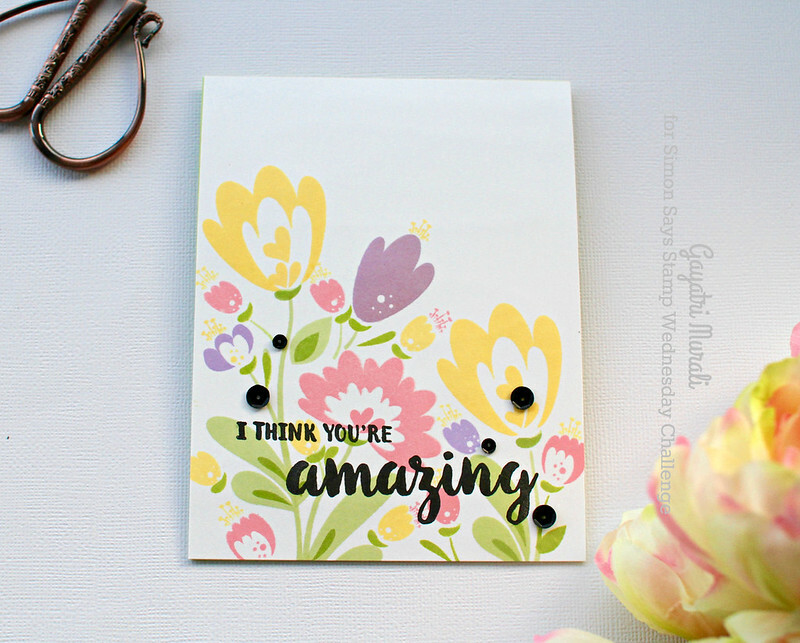 These colors are gorgeous, Gayatri, and your stamping so crisp! LOVE! fabulous Gayatri. Really pretty cards. Came over from Simon to say how lovely the card is. They're both beautiful. Gorgeous cards! 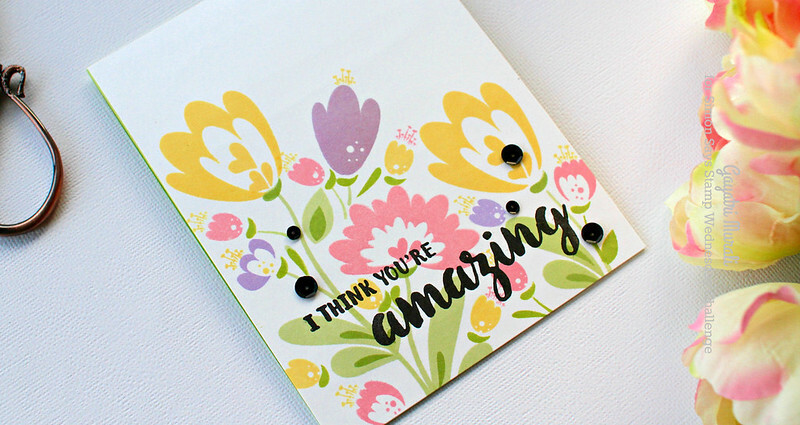 You definitely got good results with the MISTI – the flowers are all so vibrant! 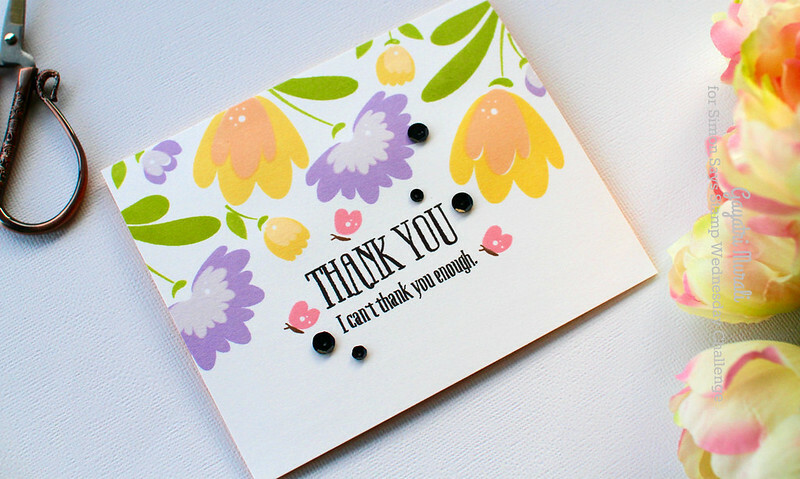 Love your fabulous cards, beautiful colourful flowers.